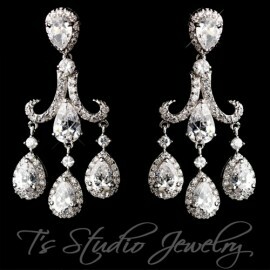 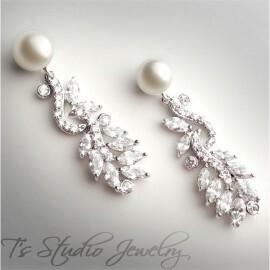 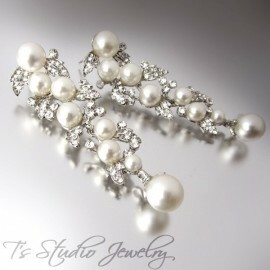 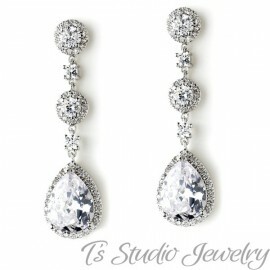 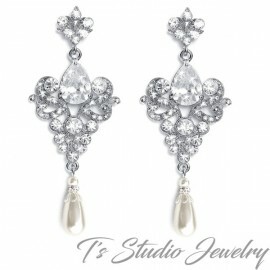 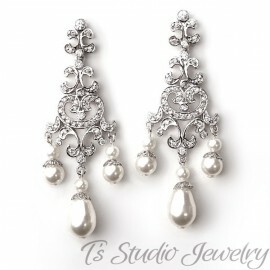 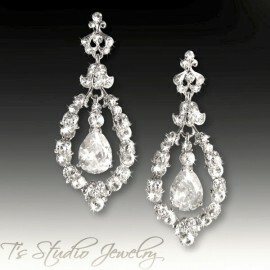 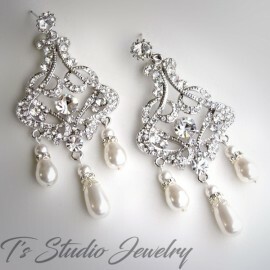 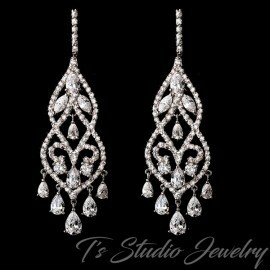 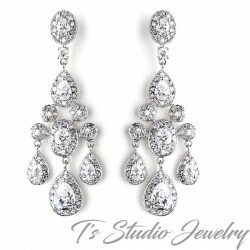 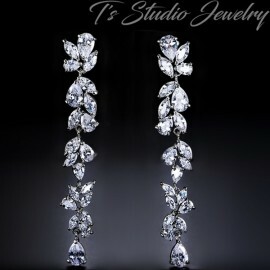 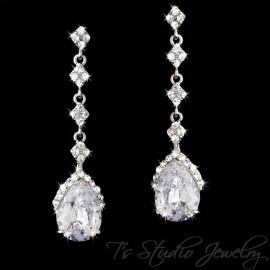 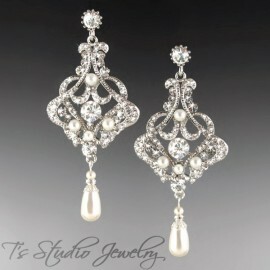 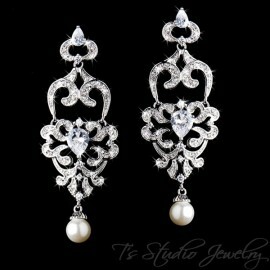 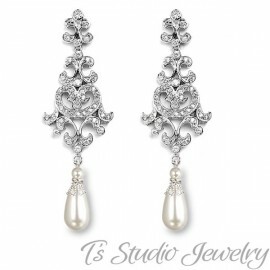 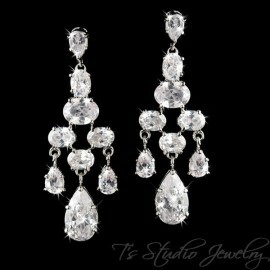 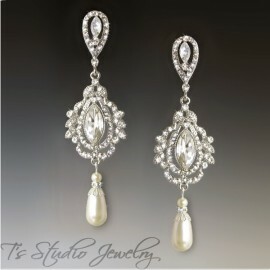 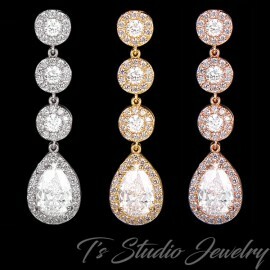 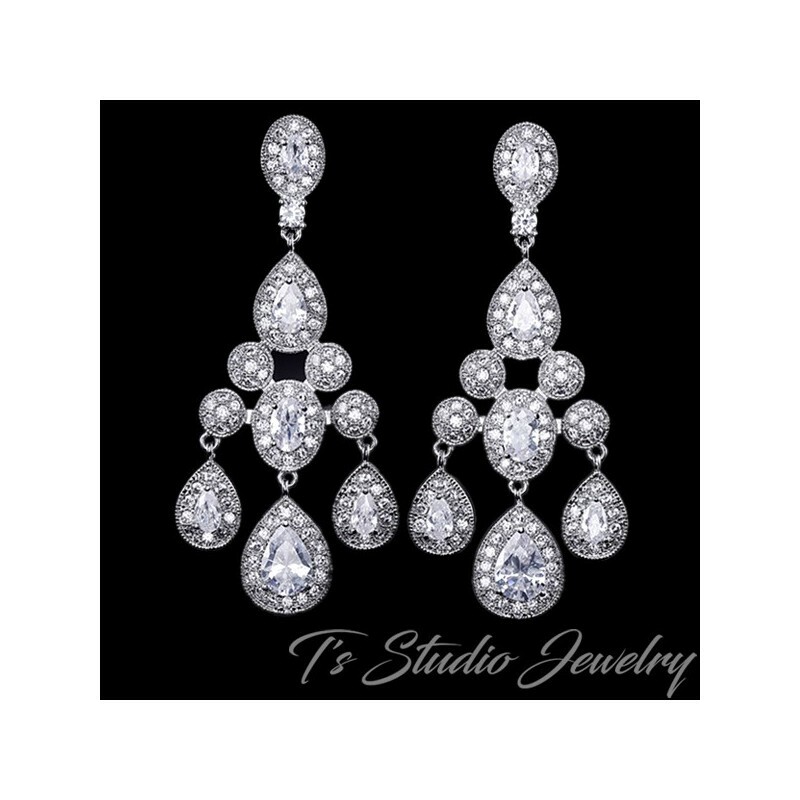 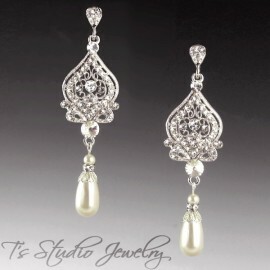 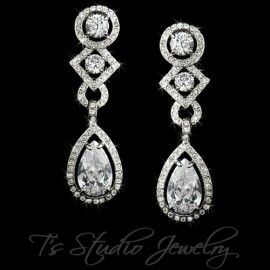 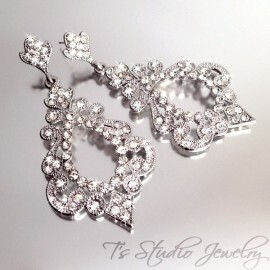 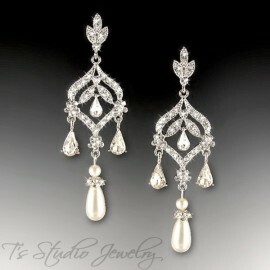 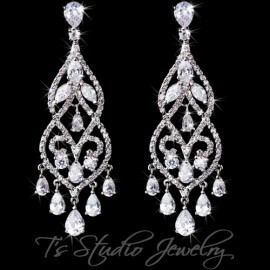 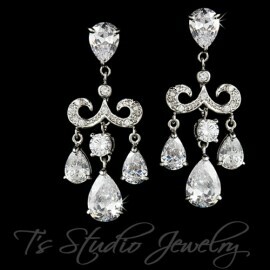 These magnificent silver chandelier earrings with sparkling clear cubic zirconium are a gorgeous pick for any bride. 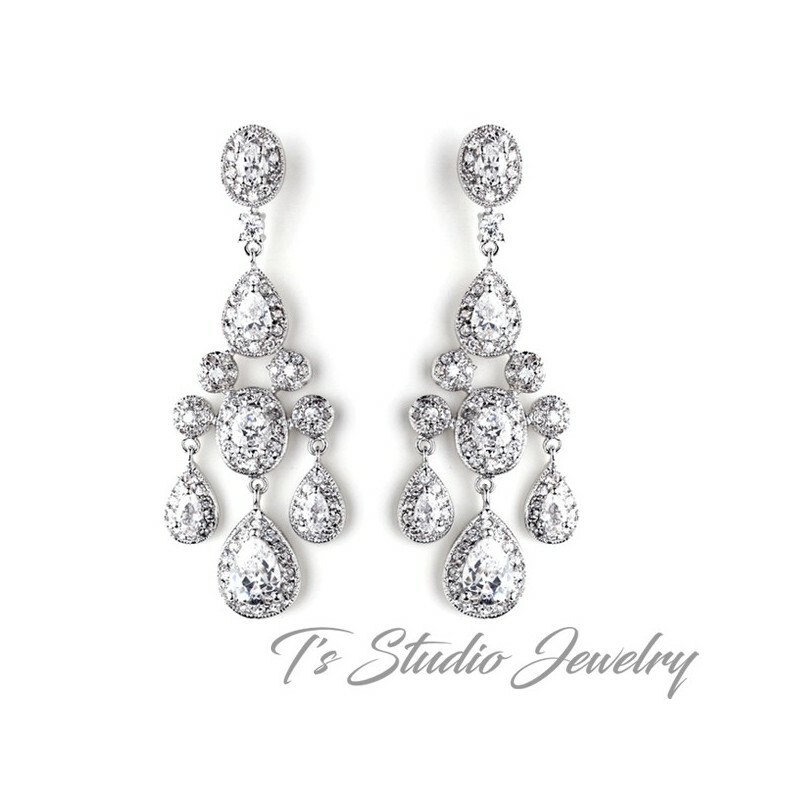 They feature both oval and pear cut CZ stones, and are accented with smaller CZ stones that all sparkle beautifully in the light. 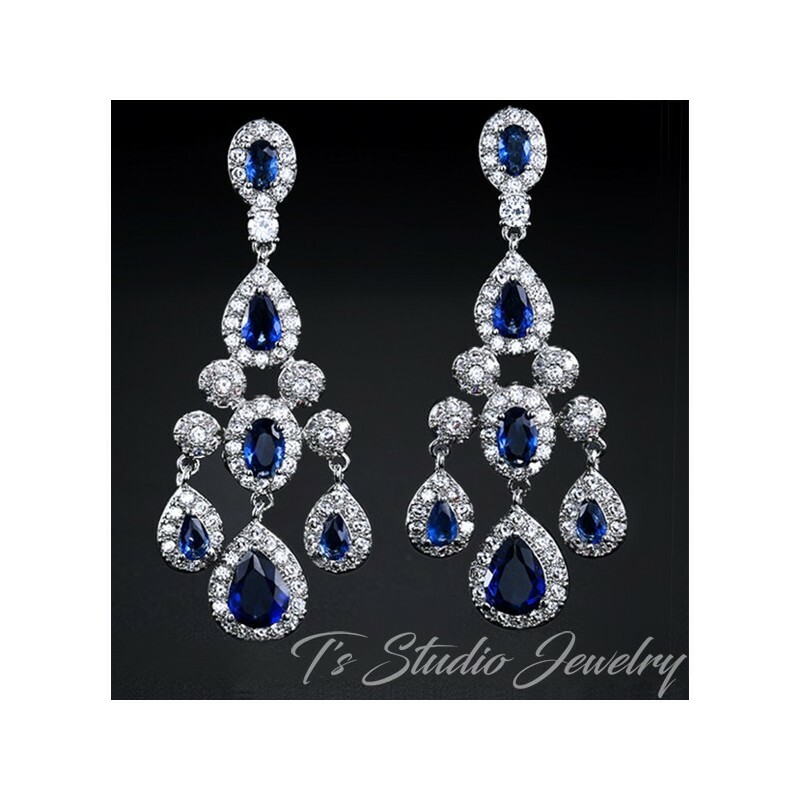 Also available in sapphire blue color.